See the details of categories without editing them! 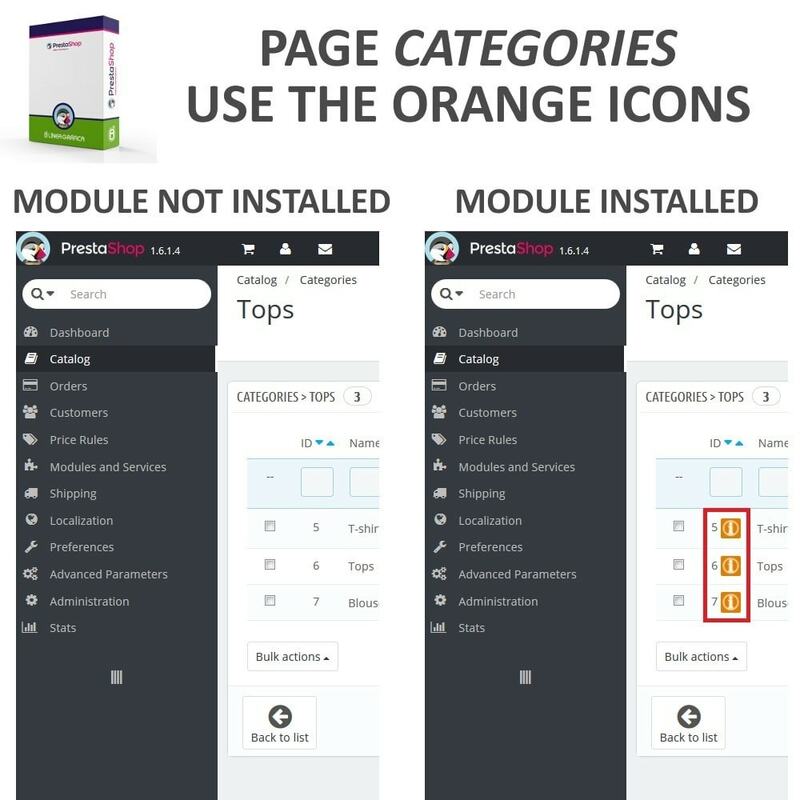 This module adds an orange icon in your "Categories" page next to each category. You just need to move your mouse over each icon and a pop-up window will automatically appear with the details of each category (you don't need to click on it, just move your mouse over it!). Our module allows you to save a lot of time checking the content of your categories because you no longer need to open each category one by one to know what is inside. If you have a lot of categories, this module is perfect for you and will make your daily work much easier. For large content, the module will add a vertical scroll bar on the right side of the window so that you can access all the category information inside the window. Click on the print icon on the top right corner of the window (next to the cross to close the window) to print the content of the window. Only the content of the window will be printed and it will take the full width of the sheet (you can see it on the module screenshots and try it on our demo). 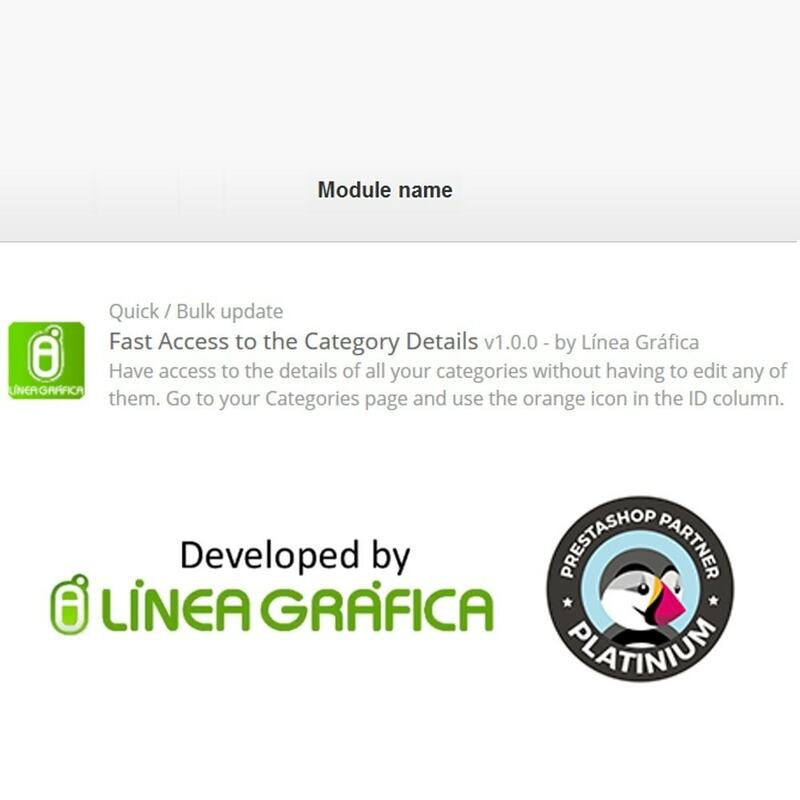 The module is compatible with PrestaShop multistore and can be used on your different stores!